There’s more than one thing that we love about hotel stays when we travel (spa, spa, spa, room service, room service, room service), but at the top of that list of “Pros” is the opportunity for us to discover, examine, and fully experience the many facets of art and design that go into creating a property. The idea that we can be transported to another world, inside a new world, thrills us. 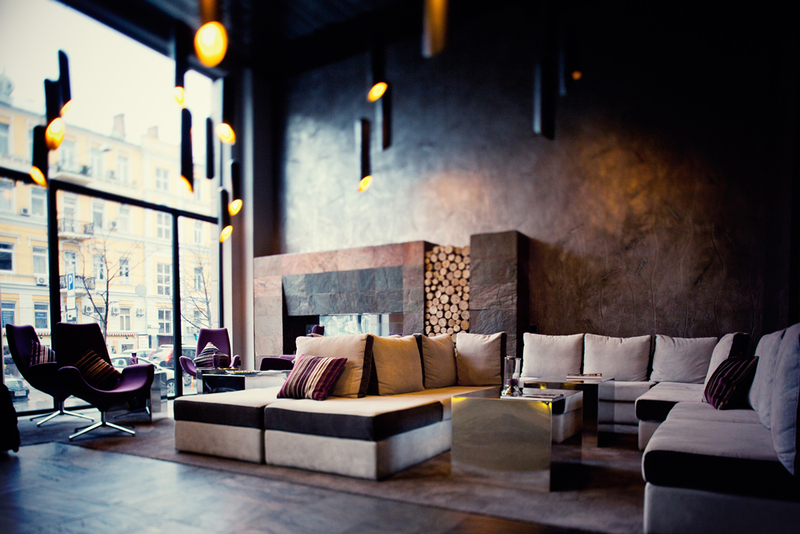 Design Hotels™ has been a part of our own travel story for years. Created by a global community for passionate travelers who love design, architecture, and culture, today, through it’s collaborators and community, these innovators, designers, and dreamers are behind some of the most original hospitality experiences around the globe. So, take a journey through five inspirational properties, handpicked by Design Hotels™’s very own travel experts. 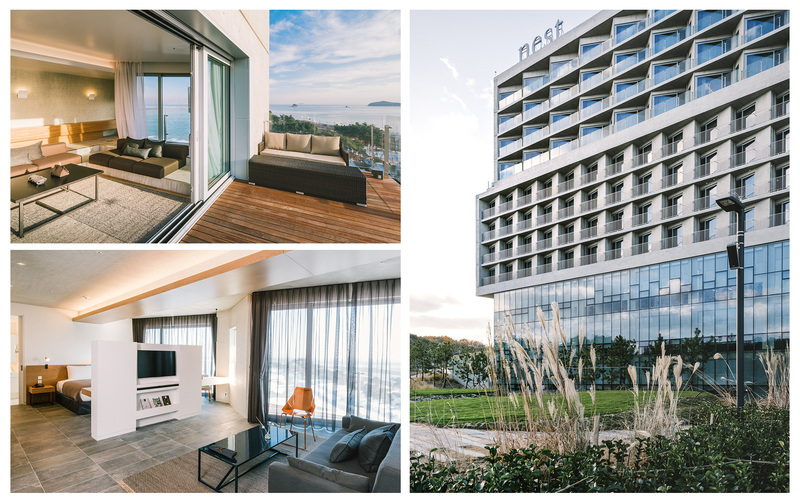 Located on the island of Yeongjongdo, the setting of nest hotel is absolutely spectacular with views overlooking the Yellow Sea and neighboring islands. Perfection is sitting on one’s balcony and being surrounded by pine trees and reed fields, a nesting ground for the local bird population and the inspiration for the hotel’s name. The reeds sway with the sea breeze and when the sun catches the landscape, it produces the most exquisite kaleidoscope of colors. The sense of tranquility is continued through the simple and sleek interiors of the 360 rooms, all of which feature diagonally placed windows designed to optimize the amount of sunlight streaming through. Housed in a Japanese-inspired building, at first glance Hotel Hotel would seem to be entirely removed from its location. However, the functional and minimalist interiors of the 68 guestrooms have been created using humble, locally-sourced materials such as natural clay, recycled oak and aged cork. 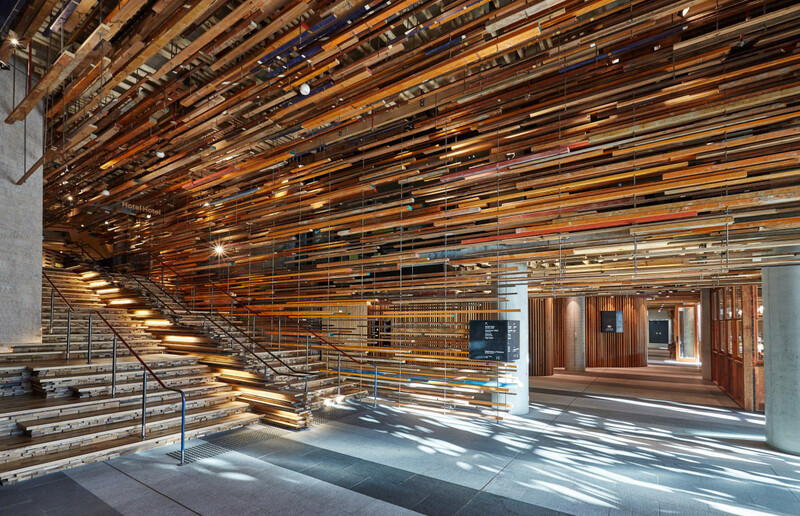 Hotel Hotel’s program of thoughtful sustainability is evident at almost every level: from the off-form concrete structure, to the repurposed furnishings and central staircase fashioned from salvaged timber. Taken as a whole, this breathing cornerstone of the Australian capital is a “vertical village” that contains the Palace Electric cinema, cafés and bars. The hotel’s public lounge is a series of nested spaces formed by rough-formed concrete, home to two large fireplaces and a library thoughtfully stocked with independent magazines and vintage books. The building was once a diamond factory but there’s no doubt that Sir Albert Hotel is shining at its brightest right now. Amsterdam’s cool and creative crowd is flocking to the hotel’s IZAKAYA Asian Kitchen & Bar, created by Yossi Eliyahoo, and the restaurant’s adjoining private terrace with sweeping city views is the perfect spot for sundowners. 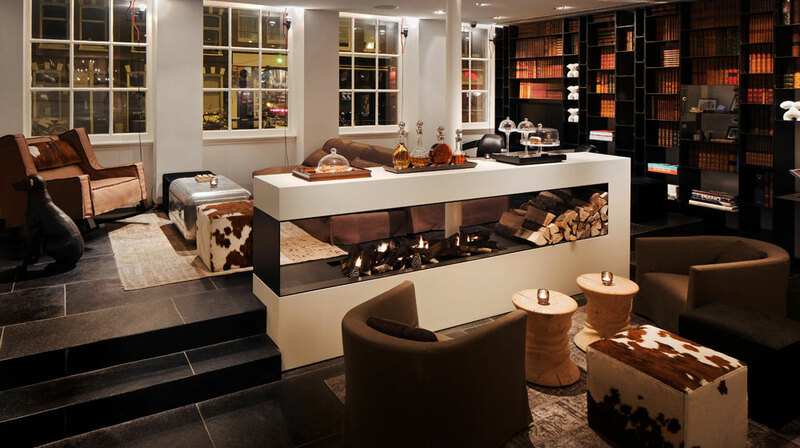 For those staying in one of the 90 stylish guestrooms once the party winds down, Sir Albert’s unique brand of ‘bedside burger’ room service comes courtesy of De Pijp foodie hotspot The Butcher. Wait… BEDSIDE BURGER ROOM SERVICE? I think I’m in love. 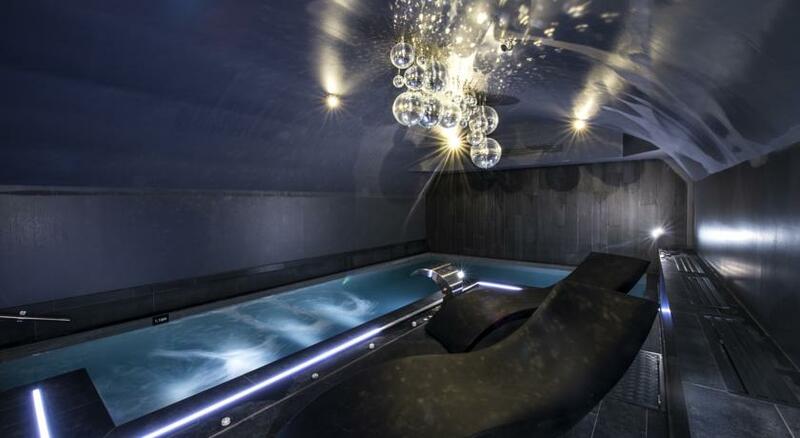 Set in the historic heart of Dijon, the capital of Burgundy and one of the four official French cities of gastronomy, Vertigo Hotel is intrinsically linked with world-class food and wine. This may be reason alone to visit for us and the hotel has fully embraced this culinary heritage, starting with the chic retro bar which serves a wide selection of vintage burgundy wines, alongside classic French cocktails. Quite possibly my favorite. For the best and most unique sampling of the region, the mini bars in each of the 42 rooms are sourced strictly with products from Burgundy. Bedside wine tastings come in the form of single-serving ‘test tubes’, a personal favorite and a great way to sample the region. The Gate Hotel Kaminarimon and its 136 rooms is nestled in the culturally-rich neighborhood of Asakusa, steps from the main temple gate of Kaminarimon and surrounded by independent shops and restaurants oozing with the charm of old Japan. Far from being stuck in the past, the district is constantly evolving by embracing innovative art and design, and The Gate Hotel with its clean, contemporary vibe is playing a considerable role in this evolution. The sweeping panoramic views from the hotel’s lobby and restaurant offer guests a birdseye view of the shifting and contrasting landscape of one of Tokyo’s most exciting destinations. This just in! Mexico’s Velas Resorts are celebrating summer by showcasing a selection of special spa treatments for $99 each at their world-class destination spas, a savings up to 50%. Guests are invited to indulge in popular treatments ranging from a rejuvenating Radiance of Pearls Facial to an innovative Velas Fish Therapy Pedicure. 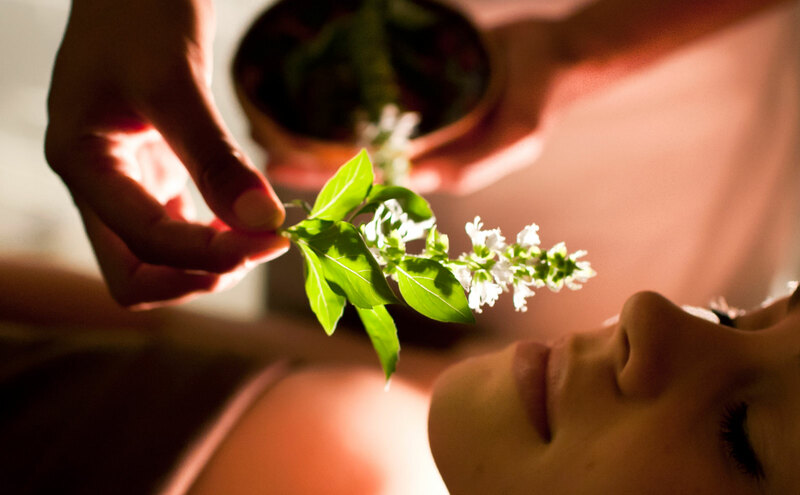 The spa promotions are available from June through October at the four resorts, which include: Casa Velas, Grand Velas Riviera Maya, Grand Velas Riviera Nayarit and Velas Vallarta. At Casa Velas, a highlight of the spa treatments offered is the Dead Sea Mud Wrap, which utilizes mud from the richest waters in the world, providing an ideal concentration of essential salts and minerals. A unique therapy at Grand Velas Riviera Maya is its Velas Fish Therapy, which incorporates the famous Gara Rufa fish, small fish from Asia that produce an enzyme in their mouths that eat dead skin cells and help repair minor skin lesions. The treatment is complete with a relaxing pedicure to polish the nails. 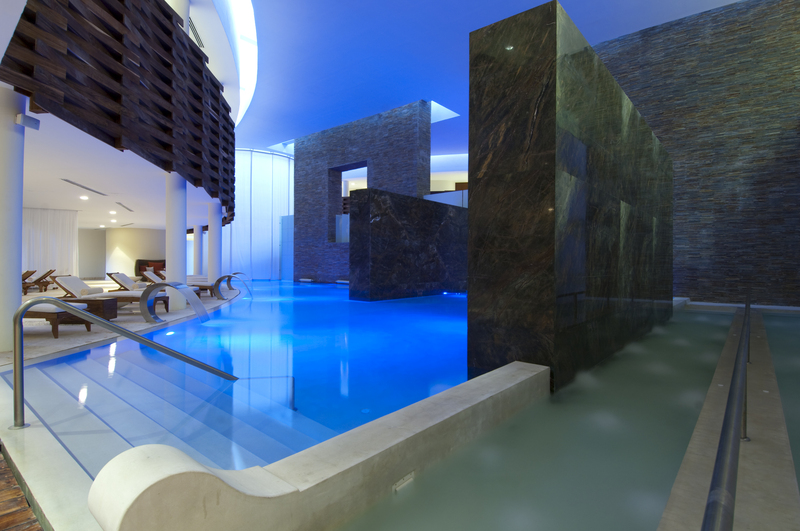 The Spa at Grand Velas Riviera Nayarit will be showcasing three 25-minute spa specials: Back Massage, Tired Legs Massage, and a Face and Head Acupressure Treatment. At Velas Vallarta, guests are invited to enjoy its Seaweed Salt Scrub and Foot Massage, which uses seaweed salt to eliminate dead cells and improve circulation with a relaxing foot massage. We’re already planning our trip now as The Spas at Velas Resorts have won numerous industry awards, including Most Excellent Spa Hotel by Condé Nast Johansens, Virtuoso’s Best Spa in the World, Trip Advisor Traveler’s Choice Award for Best Spa Hotel, a SpaFinder Readers’ Choice, and Travel + Leisure’s Best Spas, to name just a few. Treatment options vary by location and month, but have a look and, who knows? Maybe you can get your feet properly cleaned and pampered by little fish too!